Posted by The PerfectHouse Team on Thursday, March 20th, 2014 at 3:11pm. If you are like most people here, you and your home had a rough winter. 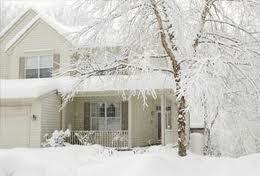 Ice, Snow, Rain and temperature fluctuations from one day to the next take a toll on a home. Preventative maintenance is always a better investment of time and money than differed maintenance. A quick walk around your home may reveal opportunities to avoid a costly repair in the future. Your roof , siding, caulking, heating and cooling systems and plumbing were all put under an extraordinary load these past few months. I'd like to share a few things you may want to check on above and beyond the normal "Spring Cleaning" list. Roof/Siding Leaks: You may have a newer roof that is in great shape but snow and ice can have different effects on how water flows off your roof. Water flows, snow sits and melts, it can cause a valley or flashing to allow water inside that would never become evident in normal rains. Walk through your home inside and look for tell tale leak stains that you may have never noticed. Be sure to include in closets and pantries. Check all the exterior caulking around doors, windows and light fixtures etc. Caulking expands and contracts and UV rays also shrink it allowing gaps for water to enter. Have the attic checked from the inside, inspecting all the roof sheathing with a flashlight for evidence of leaks. 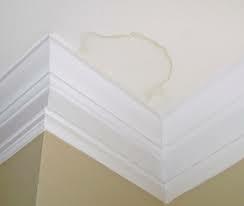 Remember, water migrates, so the location of that ceiling stain is often not the leak source location. Call a licensed roofing contractor or leak abatement company when you find stains. Waiting will not make the issue disappear, it will only make it more expensive to correct later. Pipes were stressed all winter. This stress can cause fittings to work loose and leak. 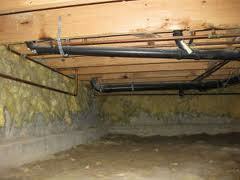 You may have leaks you are unaware of inside walls or under your home in the crawl space. These small leaks can cause big trouble and waste water running up your bill. A constant water source in close proximity to wood can also be like an "All You Can Buffet" sign to subterranean termites. Even the slowest drip can also promote mold growth and or wood destroying fungus. Take this simple test. Be Sure all faucets and water sources are turned off in your home. Now check your water meter at the street, if the meter is moving then you have a water leak. You can try to chase the leak down yourself or call a licensed master plumber to help. Also, check your crawl space thoroughly for signs of moisture. Winter is a very low humidity season so odds are, if it's damp it's not humidity. Most people fail to have their HVAC system checked and serviced regularly. They think they are saving a $250 service call while losing far more in energy costs over time. There is also risk with fossil fuel burning systems like gas and oil furnaces that you may be risking dangerous carbon monoxide poisoning. A tiny pinhole in a burner can be a real health risk to your family. Dirty filters and air handler coils also reduce air flow and efficiency. Don't wait till it's hot to have your system serviced. 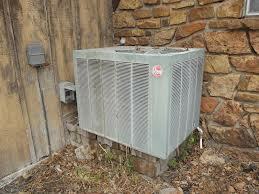 Call a licensed HVAC contractor for a thorough inspection and cleaning of your entire system. In the Spring, all you need is a day over 60-65 degrees for a good test. Next Fall, before you need heat, have the system serviced again. Maintenance twice a year will extend the life of your system and save lots of money in the long run.